In journalism, photographs have long been championed for their distinct ability to convey the truth and highlight important issues. Within media, a skilled photojournalist (equipped with a camera and an incredibly strict code of conduct) will enter a news event not just to snap a few staged group photos, but more importantly their goal is to visually tell the story. And often those photographs find their greatest power in transcending languages - making a profound and lasting impact on our humanity as well as the course of history. Enter multi-award winning photojournalist for Stuff in New Zealand, Iain McGregor, who was on island this month. With around 20 years’ experience under his belt, the 2018 New Zealand Media Awards Photographer of the year normally leaves his home country for an assignment whether its covering the Olympics, All Blacks tours, Fifa World Cup, human trafficking in South East Asia or climate change in Antarctica. But Iain was on a different kind of assignment here in Samoa, a first for him and one that would take him from being the viewer to being the subject. 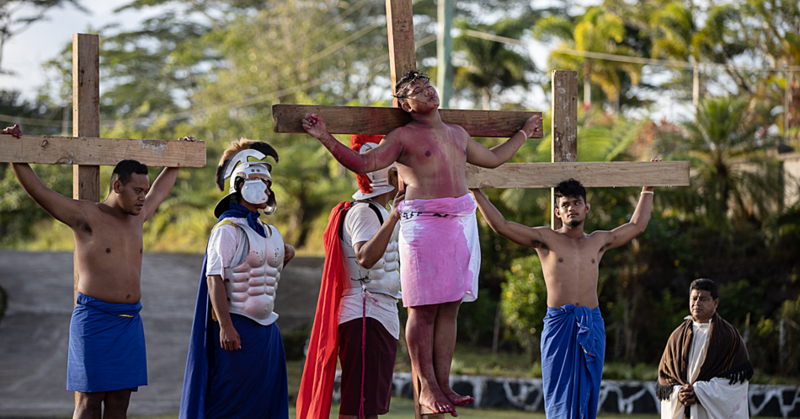 Accepting an invitation from the Samoa Observer to work with its editorial and online team, the photojournalist took the teams through a week-long training focused on embracing a photojournalism style of photography. 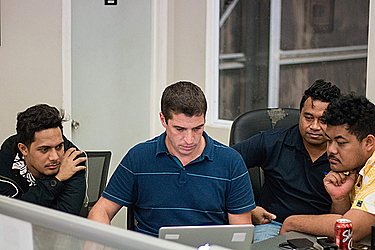 “I worked with staff at the Observer to try and push towards this direction of visual storytelling,” said Iain. “The philosophy is that you would never make up a quote to go in a story, why should we stage photos? Based in the city of Christchurch, the photojournalist for The Press knew very little of Samoa or the Samoa Observer before he arrived in the first week of July, but eventually the Canterburian realised that press freedom anywhere in the world comes at a price and that the pressures of a daily newspaper are no different here in Samoa. “To be honest, I knew very little but I was blown away on learning the history and struggles the paper has overcome, especially when it was burnt to the ground and you still got a paper out the next day,” he said. “We overcame similar adversity at The Press in Christchurch the day after the earthquake and we’re proud to have delivered that next day. Iain took the opportunity to shadow the Samoa Observer reporters and photographers on their assignments around the island. Interchanging roles between trainer and student, Iain gave his expert advice, demonstrated techniques or took the lead role accordingly as his natural journalistic curiosity took over. Accompanying the Village Voice team into the rural areas of Upolu, Iain was exposed to the two contrasting sides of Samoa in all her beauty and pain. “I had no idea how beautiful the geography inland from the coast was, I was not expecting that,” he said. “I was blown away by the stunning waterfalls and it was so good I extended my trip to look around a little more. That being said, I was also surprised at the poverty in some of the rural areas. I didn't expect to see families with children living in huts with no power or running water. Often photojournalists are those lone individuals running towards the direction of danger while everyone is running away from it. They instinctively feel a sense of duty to get the shots that will shape your perspective even if those images depict child poverty or loss of life in a natural disaster. 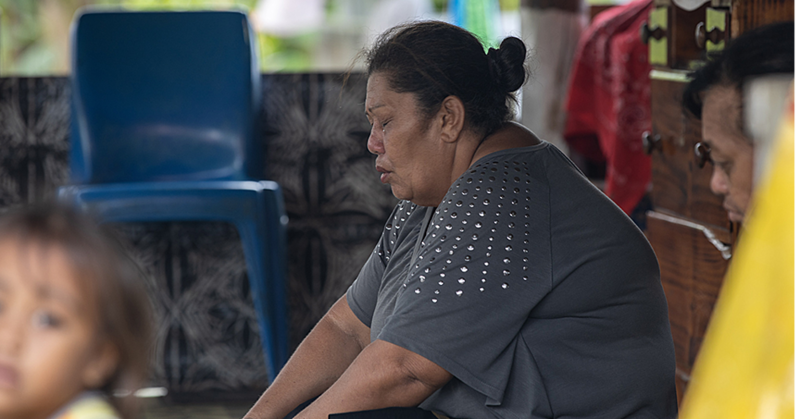 One only needs to think back to the images of Samoa and her people reeling from the destruction and death in the wake of the tsunami that struck in 2009. 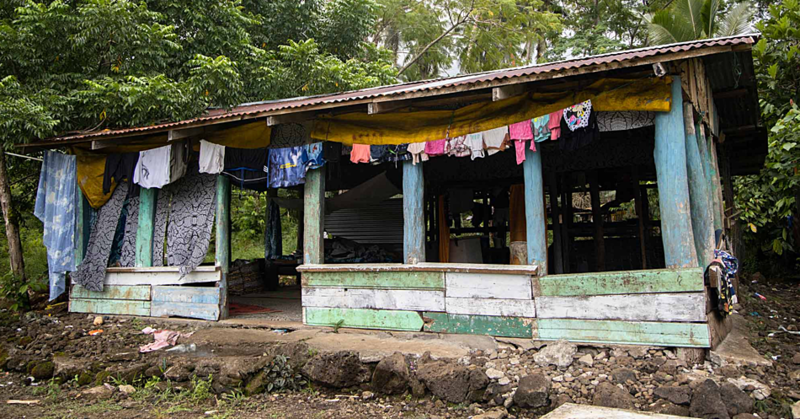 Immortalising those horrific moments not only alerted Samoa’s friends who extended a helping hand with humanitarian assistance, but it allowed us to document a part of history that should never be forgotten or erased. Iain has travelled to some of the most exotic and remotest places in the world to cover natural disasters, but he said to the Samoa Observer that his toughest assignment to date was one that took place in his own hometown. “Toughest assignment was the Christchurch earthquake because I’m from there,” he said. “It was really hard watching people die in my own town and seeing the city collapse. That will never leave me. In my opinion you’re a human being first, so if I’d seen people who needed help, I would’ve done that before taking a picture. The down to earth Kiwi takes his role as a visual journalist very seriously. He has expertly mastered both the art and science of photography to successfully illustrate his story telling while adhering to a strict code of conduct in photojournalism - designed to uphold the uppermost integrity while pursuing the truth. Iain returned to New Zealand after a week of field training with the Samoa Observer editorial team. The New Zealand photojournalist taught his Samoan counterparts how to look at their daily world from different angles and in return Iain left inspired that the spirit of journalism was well and truly alive in Samoa. “I really did take away the importance of what we do and not to take our situation for granted. Working in journalism is a privilege and a responsibility.